Parkview Health is the only not-for-profit health system in our region. Its mission has been supported by generous donors since its inception. This support has provided important resources to serve the health needs of our communities with effective treatments and technologies. 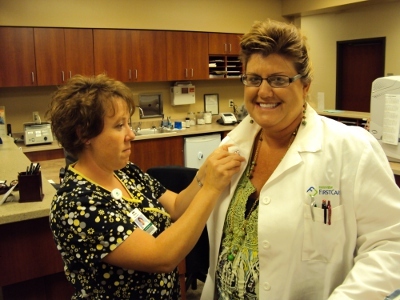 Philanthropy has been a key factor in Parkview's mission to provide excellent care to every patient every day. Parkview Foundations accept tax-deductible donations. These fund essential needs: new equipment, enhanced health services, outreach programs, the expansion of medical facilities, access to medication and assistance to our patients and their families. Generosity is crucial to Parkview's ability to provide excellent care to every patient every day. Volunteer boards of directors guide the work of the Parkview Foundations. Learn more about these dedicated individuals in Our Communities. 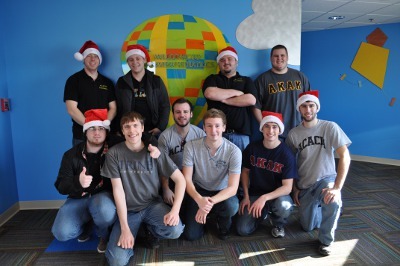 Members of Trine University's Acacia Fraternity deliver donations and smiles to pediatric patients.